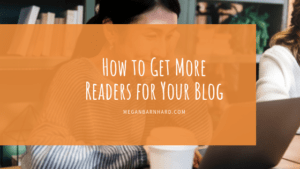 Blogging is not like eating your vegetables: You don’t do it because it builds character, you do it because it builds rapport with your audience. 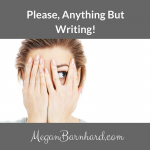 So if you don’t have time to write a thoughtful blog post, don’t beat yourself up. Maybe you’re going through a launch of a new product. Or you’re hosting or attending a live event like a retreat, workshop, or conference. Or maybe—gasp!—you’ve actually arranged to take some time off and rest, and you’ve got a lot on your to-do list before leaving the office. 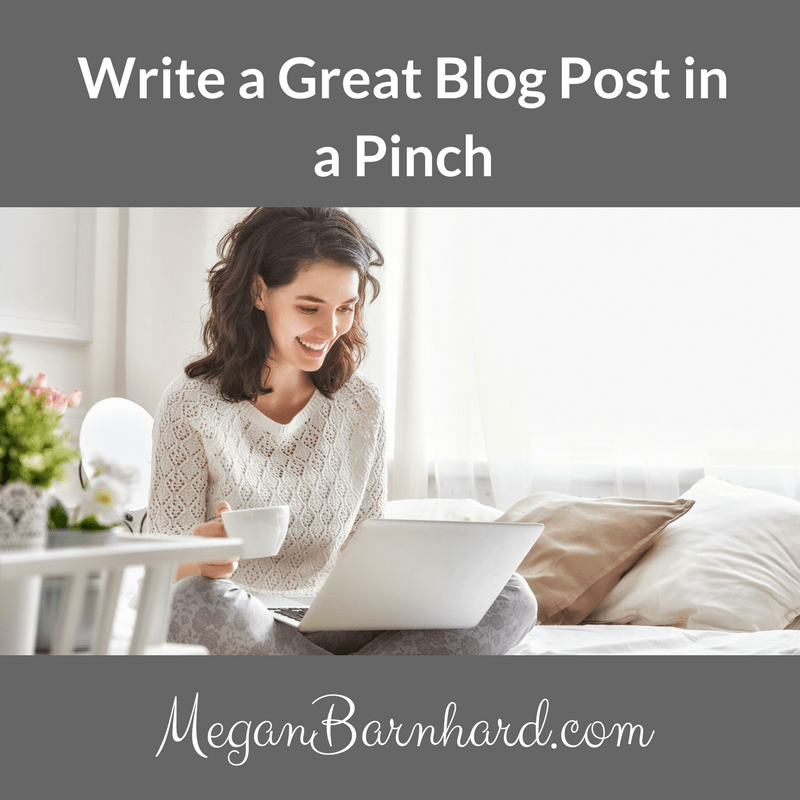 Instead of skipping out on a post altogether, opt for a short, easy post. You can provide great content for your audience in a short amount of time with a resource round-up post. We all appreciate recommendations for tools that help us work smarter, not harder. You don’t have to create the resources that solve the problem. Just rounding them up all in one spot is a huge value for your customers. Think about how much information is on the web. We all appreciate a recommendation from someone we trust over having to do a Google search and sift through the info overload that results! I’ve done resource round-ups for parents of my writing students covering topics from great creative summer camps to how to find college scholarships. 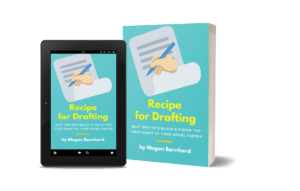 If there are tools, services, books, blog posts, or other resources that you find yourself always recommending to your customers, put them all in one spot with short descriptions and links. In this type of post, you round up 5-10 of your favorite different tools for doing one thing your customers do. These resources might be books, blog posts, planners, journals, apps, websites, digital products, or physical products. What’s key is that these are all moderately priced items that your audience can grab and use right away. Each one should provide either a quick win—like the meditation sounds app—or a further induction into the lifestyle and results that you know your audience is seeking, like the cute leggings. We may not need new workout leggings, but aren’t we more motivated to get moving when we have them? These products and services should not compete with what you offer. Instead, they should enhance your services. If you tell your clients to stretch daily, stretching bands will help them do that! But they’ll never replace you and your coaching. It’s easy to get in contact with almost anyone on social media these days. So when you recommend products, it’s a great idea to get in contact with their creators and let them know you’re recommending their offerings to your audience. They may be interested in sharing your post with their audiences, especially if the company is small or local to where you live. In this type of post, you round up a handful, say 4 – 7, products or services that solve the same problem and compare their performance. If you’re a business coach, you might offer details about 5 email service providers and what you like about each one. It’s not important to choose a winner. Instead, help your audience see the benefits of each option based on their current needs. For the email service provider example, you could compare elements like price, number of subscribers included, user-friendliness, and how many emails can be sent each month. Someone just starting out might gravitate toward a low-priced or free service that’s user-friendly. On the other hand, someone with more email marketing experience might prefer a service that covers more subscribers and more emails. I personally love these types of share-and-compare posts! I’ve used this strategy to search for website hosting, free video editing software, webinar hosting software, online schedulers, and—as you might have guessed—email service providers. 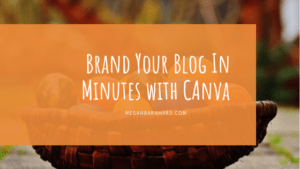 When I search Google for tools for my business or personal life, I’m much more likely to click on a blog that compares several items, giving their pros and cons. Even from a blogger I’ve never heard of before. These posts are the kind that tend to bring in new traffic. I guarantee I’m not the only one out there on Google searching for recommendations for business or lifestyle tools. You’ll grab people who are asking the very question you’re answering. They’ll come back to your site and get this answer, and if you’ve done a good job of presenting the information and making it thoughtful and helpful, they’ll come back to you again when they have their next question! Obviously, recommending junk products to your audience will reflect poorly on you. 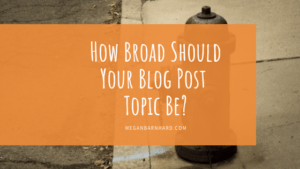 Be upfront about what you like and what you don’t like in Post 2 so that readers know what they’re getting. And don’t sell your audience out by recommending a product in Post 1 just because there’s something in it—an affiliate payout or some free publicity—for you. The trust your audience has in you is far more valuable than any kick-back you might get for promoting a product or service. Just be up front. If you’ve received complimentary access to a product in exchange for your honest review, mention that. You can even use it as an opportunity to remind your audience how committed you are to them. If you do receive affiliate commissions for certain products, it’s a good idea to post a disclaimer to that effect on your website. You can use language similar to the example above, where you reassure your audience that you only recommend products you believe in. 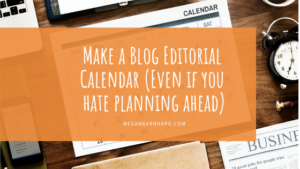 Put a Resource Round-up Post on your editorial calendar for a time when you know you’ll be really busy. What products do you always recommend to your audience, or even to your friends and family? Which app changed your life or business? What favorite item could you not live without? Which solutions have you tried for your life or business? Which ones worked for you? What did you like about them? In the comments, let me know what you’re planning for your resource round-up post! I’d love to hear your ideas and give you some suggestions for how to tackle your topic! And if you’d like even more help crafting your resource round-up post—or any type of blog post—let’s chat! Schedule your free consultation today. 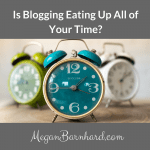 Is Blogging Eating Up All Your Time?